I like how fluffy these are. Cozy up all year long while resting beneath this supreme Comforel filled comforter. 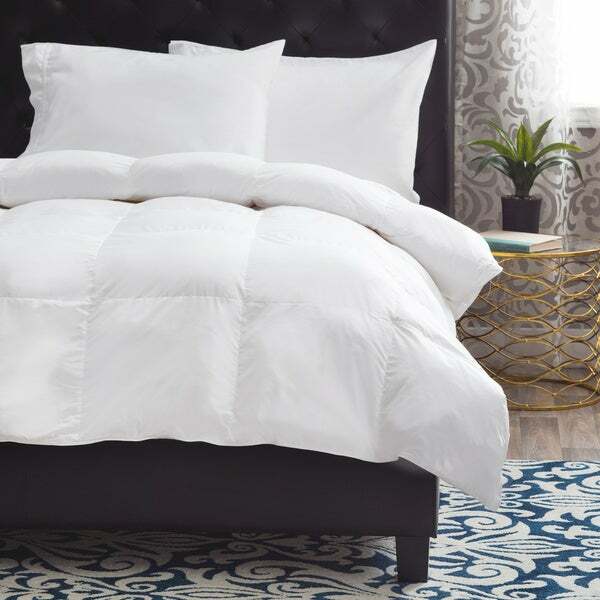 The white 330-thread-count cotton sateen cover features a baffle box stitching to evenly distribute the Eco-friendly down filling and prevent build up in the bottom corner. Offered in four different sizes to accommodate any bedding, this hypoallergenic comforter will make a great addition to your slumber. Very fluffy and warm, you'd never know it wasn't real down (except no shedding feathers), extremely happy with this purchase.